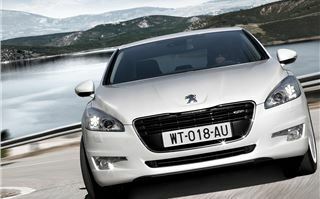 The big news about Peugeot’s big new 508 is that they’ve got one version down to 109g/km CO2. That doesn’t quite get it into London free of charge (the forthcoming hybrid does), but it means you’ll only be paying £20 a year in VED. 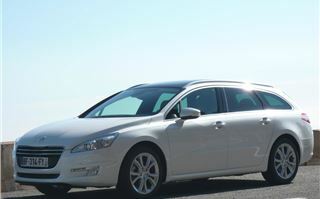 Otherwise, the cars are all 150g/km or under, apart from the 204bhp diesel automatic SW. 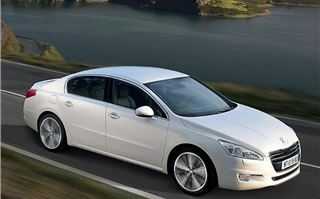 Which means all apart from the 204bhp SW are £125 or less in annual tax. And all, including the 204bhp SW, fall under the 160g/km company write-down limit. Comfort is well catered for at all levels. 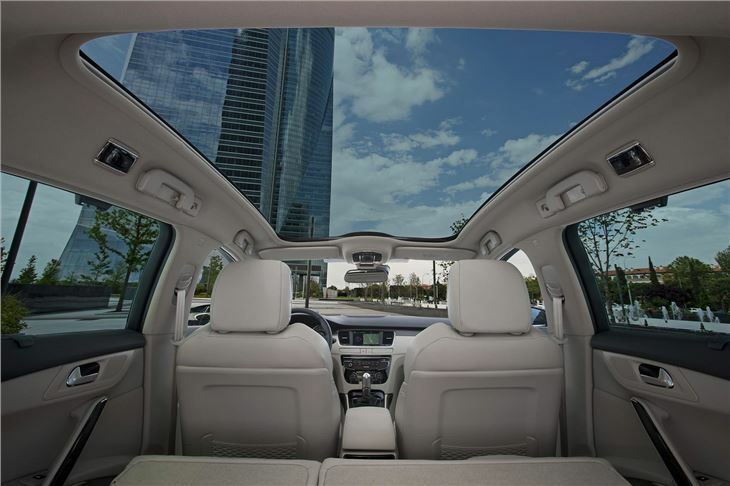 The rear seat is a pleasant place to stretch your legs in comparison to the black hole of a 407, which had zero forward visibility and made me as a passenger sick. 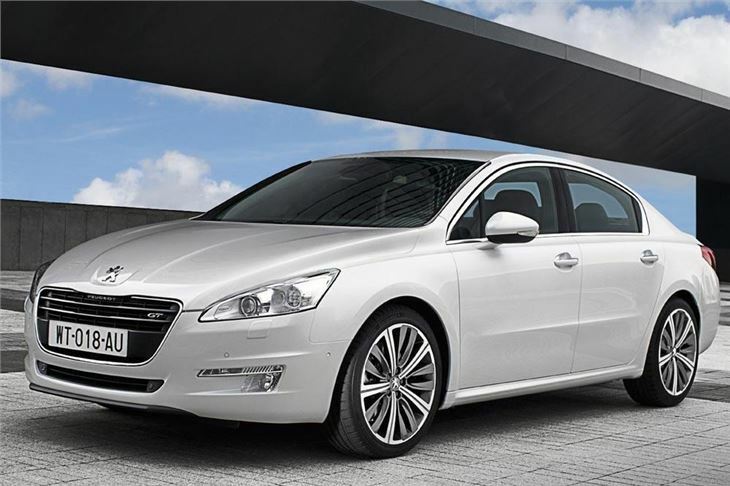 The 508 should not be compared to the 407 at all. The 607, maybe. 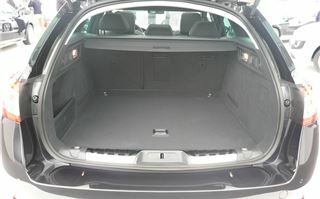 The commodious boot of the saloon takes 545 litres of luggage, and the rear seas fold down allowing the car to take 1,511 litre in two seater mode. 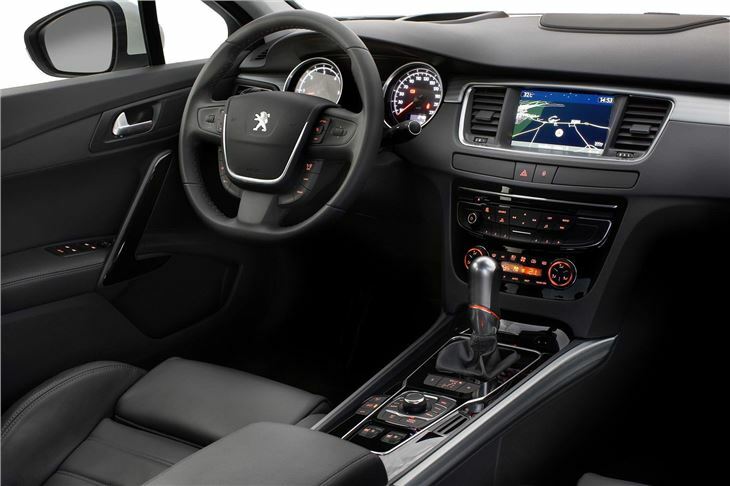 The dash, seats, driving position and general ambiance are all fine, on a par with a modern Ford’s, and the satnav screen is sensibly placed where it can be read at a glance. 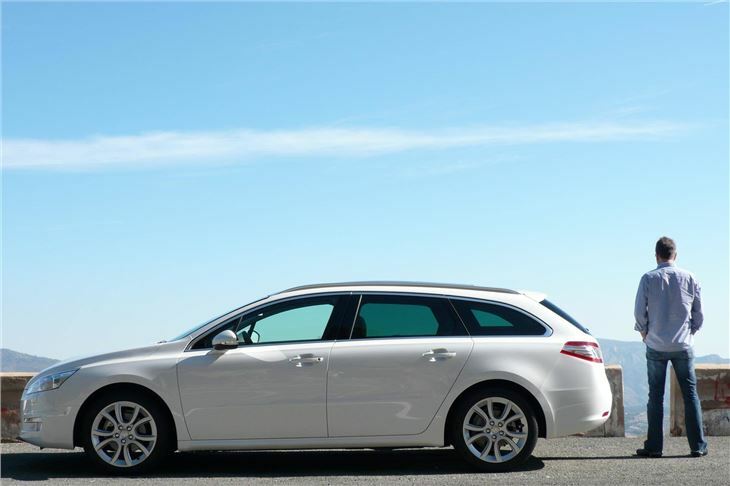 Engines kick off with a 120PS 1.6 chain cam petrol, and a turbocharged 156PS 1.6 chain cam petrol that also see service in Citroens and the MINI Cooper S.
Diesels are PSA/Citroen/Ford’s revised 115PS belt cam 1.6, now with 8 valves instead of 16 and described by Peugeot as a ‘112’, which refers it its brake horsepower rather than its PS. 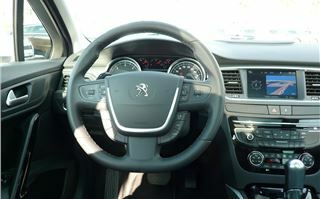 Coupled with stop start and PSA’s ‘EGC’ automated manual transmission, it manages to creep under 110g/km CO2 and qualify for just £20 a year annual tax as well as extremely low BIK for a car of its size. 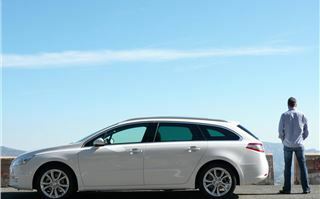 An EC certificated ‘combined’ mpg of 58.9 may well translate to more than 50mpg in real life. 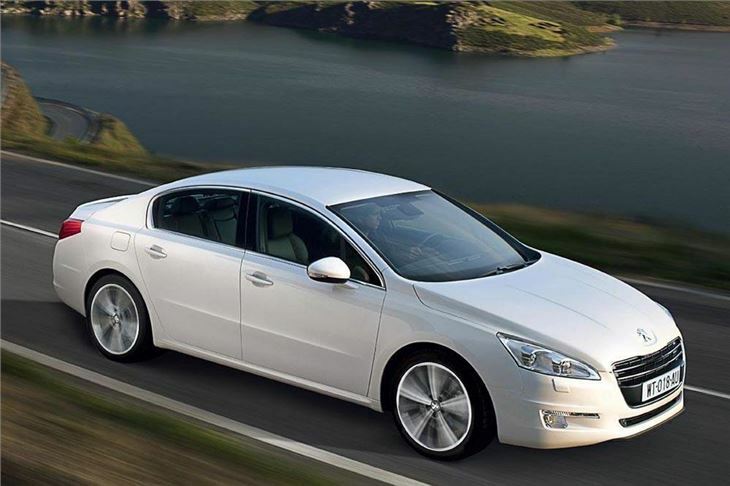 This is likely to be the UK’s best selling, or rather ‘most leased’ 508. I took one round Alicante’s traffic lightmare and it was fine, either left to change gear by itself, or paddled. Unlike other stop and start systems, this one cuts the engine under braking from 8mph and works down to minus 5 degrees centigrade rather than the plus 3 degrees of other systems. However, like all stop start systems I have driven, you need to keep your foot on the brake pedal for the engine to stay stopped and blind the poor driver behind with your brakelights. If you put it in neutral and pull on the handbrake, the engine starts. Other diesels are a 2.0 litre 140PS 2.0 litre 16v belt cam, a 163PS 2.0 litre 16v belt cam, and a 2.2 litre 204PS 16v belt cam. We drove the top 2.2 litre 204PS diesel with 6-speed torque converter automatic box, paddleshifts, and double wishbone ‘GT’ front suspension like the 407’s. This did make the steering a bit sharper, but didn’t give it any more feel than the conventional McPherson strut style suspension in the THP 156 chain cam petrol model we also tried. To my mind, that was the peach. Good to drive. Just about powerful enough with a nice engine note. Positively grippy at the front and needing to be pushed very hard to break into understeer. 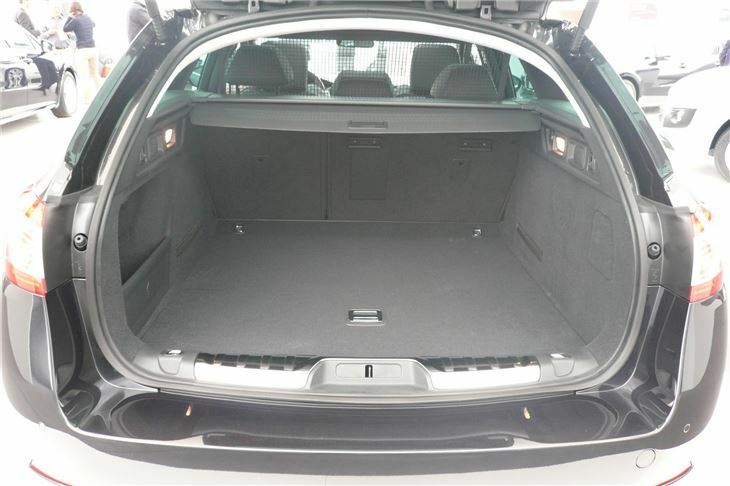 At £20,850 for the saloon and £21,875 for the SW it’s reasonably priced before the negotiations start. 150 g/km CO2 keep even the SW in the Band F £125pa tax bracket. And there’s a good chance of 40mpg. 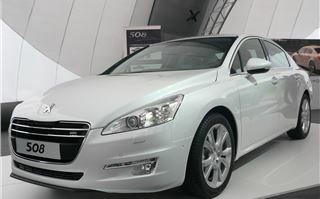 In 2012, Peugeot will introduce its ‘Hybrid4’ system to the 508. 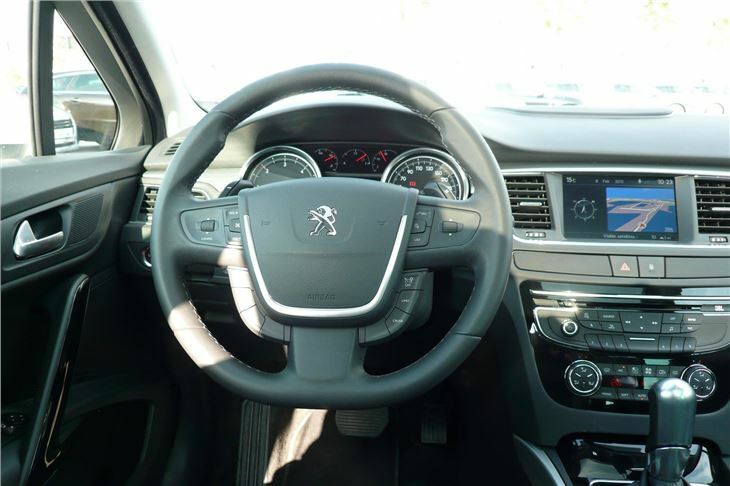 This combines a 2.0 litre diesel automatic with stop start at the front. And a regenerating electric motor instead of a differential at the back, a bit like Toyota’s system on the Lexus RX 400h/450h. In the 508, combined power is 200PS, with 300Nm torque to the front wheels and 200Nm to the rears. CO2 emissions are under 100g/km, which makes this the largest car so far to be both tax and London Congestion Charge exempt. 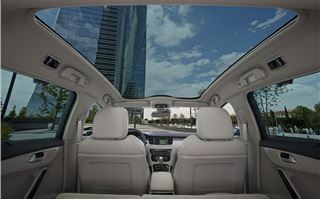 We’ll first see the same system in the 3008 later this year and it promises to work very well. 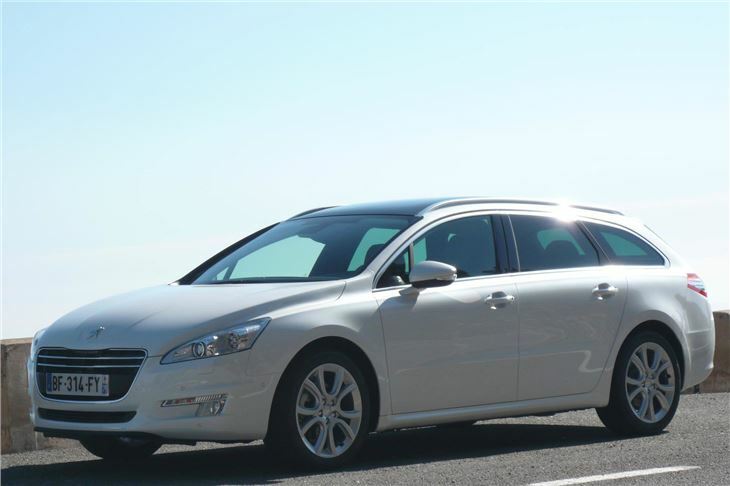 Interestingly, the bigger, better 508 saloon is 35 kilos lighter than the 407 saloon, while the 508 SW is 47kilos lighter than the 407 SW. And the cd of 26 makes the car very slippery, helping to explain its efficiency. 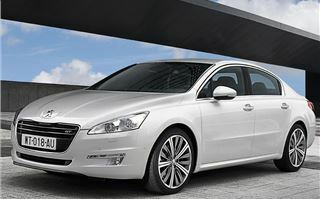 Peugeot only expects to sell 8,500 508s in the UK in a full year, split 50/50 saloon/SW and 80/20 diesel/petrol, though, once the public starts to catch on to the disadvantages of EU5 diesels, I expect a significant move back to petrol. 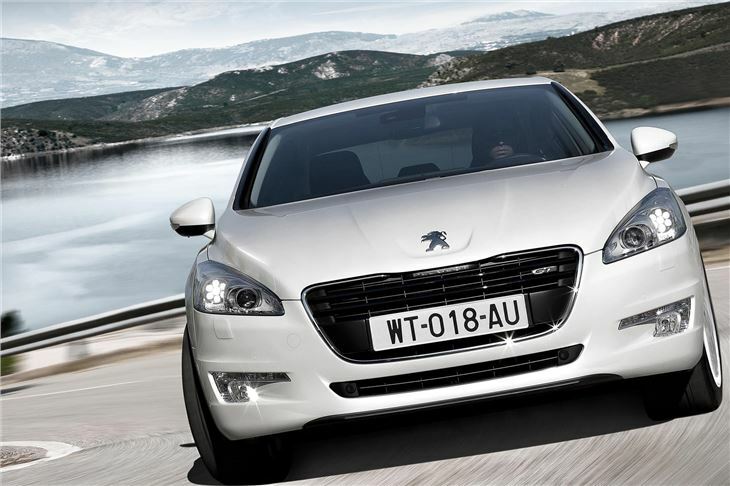 In comparison, Peugeot expects to sell 65,000 of its Wunan built 508 saloons in China in a full year. For car manufacturers, the UK is no longer the ‘Treasure Island’ it used to be. As often happens, a second run in a car can make a big difference to impressions of it. And running through town and country from Birmigham to Coventry certainly changed my opinion of the HDI 112 stop start with EGC. The rule is, take it easy and the changes will be smooth. Once stopped, you can knock it into neutral and get your foot off the brake so you don't blind the driver behind. Then simply moving the lever from N to D re-starts the engine so you can set off again without any fuss. 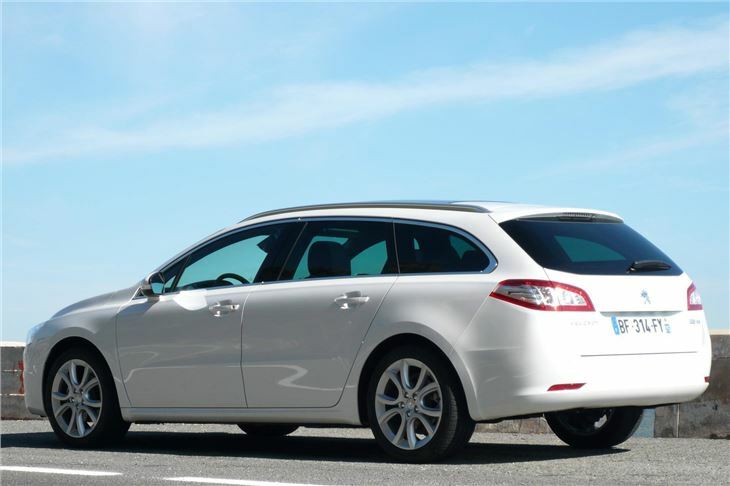 Also, by applying very little throttle you can get amazing fuel economy. 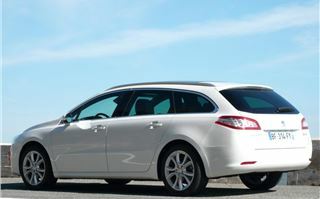 We averaged 65mpg on the meter, which is extraordinary for a big 5 seater saloon.